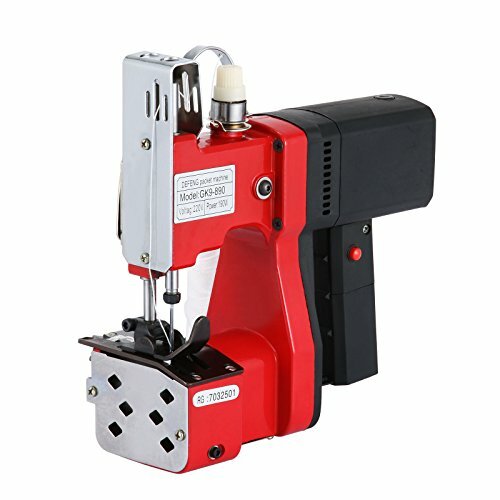 We offer you a superior portable electric seal sewing machine. The machine comes pre-threaded, which provides you with a ready to use tool. At an unbeatable price, this compact and robust machine is ideal for quick repairs, small project and beginners, with quick, efficient and breezy needlework. Our machines completely change many mechanical flaws of old model one such as the poor motion stability, easy to wear, noise. And more, due to the good insulation performance,compact and reasonable structure, our machines can effectively reduce the labor intensity of workers. You can enjoy the function of the automatic shear line.In other word,there is no need for you to manually cut lines during operation. Use industry: chemical industry, clothing, chemical, home textile, machinery, etc.